Blonde-haired M.Y.O.B. 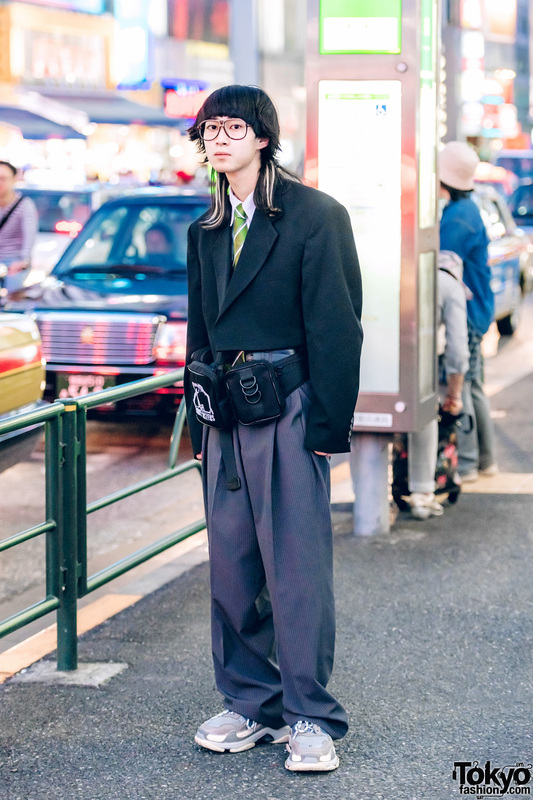 NYC staffer in edgy vintage streetwear while out in Harajuku. 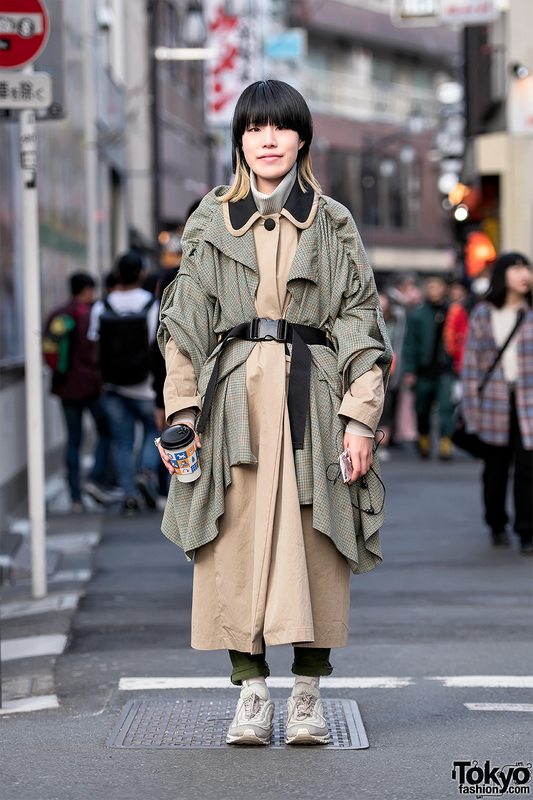 Japanese writer on the street in Harajuku wearing layered coats over a high neck top, retro sneakers, and a vintage waist bag as a belt. 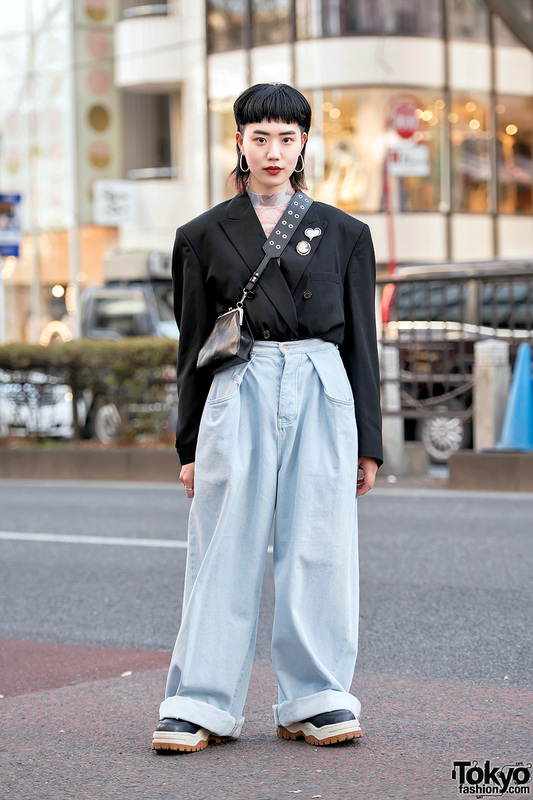 Harajuku girl wearing a vintage blazer tucked into baggy cuffed jeans, platform boots, vintage brooches, and a crossbody bag. Harajuku girl in a two tone red and black look with a vintage maxi coat, pleated skirt, bow platform shoes, and cutout backpack. 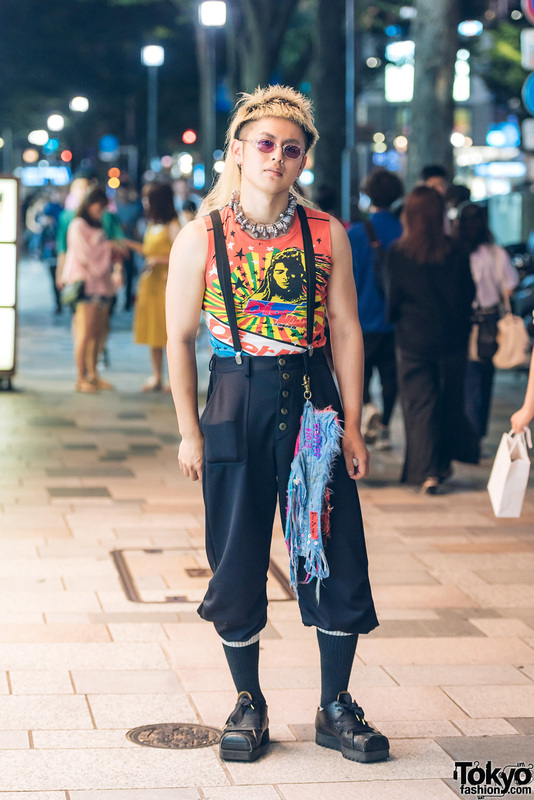 Harajuku fashion college student with cool hairstyle wearing printed sleeveless shirt, black pants tucked into knee high socks, black boots, collar necklace, sunglasses, hoop earrings, suspenders and a feather keychain.